Kefar ha-Ḥoresh is a Pre-Pottery Neolithic B (PPNB) site located in the upper reaches of a small wadi issuing into the Jezreel Valley from the western flanks of the Nazareth Hills. More specifically, it is nestled in a recess bounded by a 2–3-m-high bedrock cliff at the base of a steep north-facing hill and near a well. The site extends over c. 1.2–1.5 a. Little arable land is available in the immediate vicinity. Although the site is secluded, a panoramic view over Lower Galilee and more distant areas is provided from the opposite hill, and this dichotomy may have been a factor in its placement. The site was discovered following deep plowing for forestation. 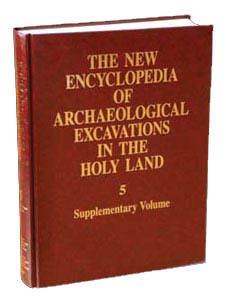 Excavations have been conducted since 1991 under the direction of A. N. Goring-Morris, initially on behalf of the Israel Antiquities Authority and subsequently of the Institute of Archaeology of the Hebrew University of Jerusalem.